True North Mapping produces local town and urban mapping from original surveys. The maps feature current residential housing, commercial areas and local points of interest. The maps are aimed at local residents and visitors to each area. Produced to a high standard the maps are folded paper and laminated sheet format maps produced at a scale of 1:6000. 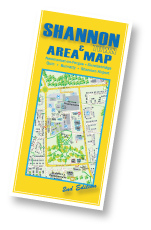 Sections of the maps are available to special order. Community organisations and not-for-profit groups can avail of copies licence free. Residential area detail - each home is identified by street name and house number. Commercial zones and business zones are shown with their locations and type. 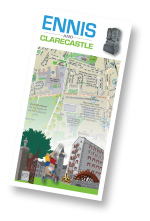 A sense of time & place features on our local Area Maps with the inclusion of local history & interest.